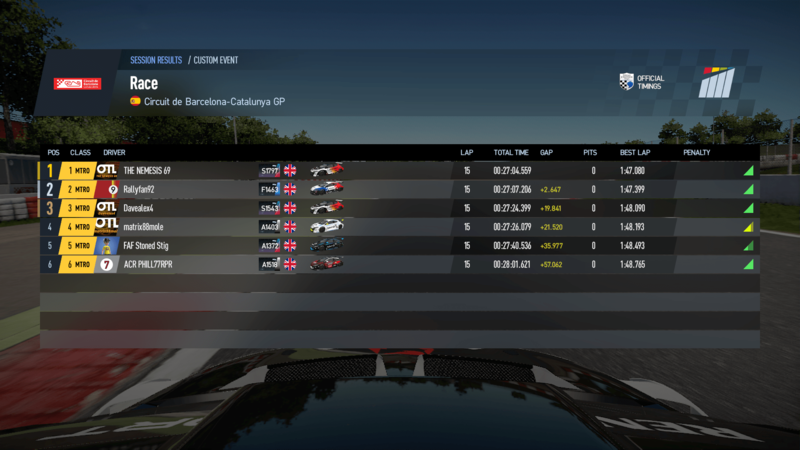 Renault Esports Xbox online final results! Everyone at OTL is delighted for him and will be cheering him on in the grand final against the winners from each of the other consoles. In the 6 driver final, three of the top four were OTL drivers, once again doing an unbelievable job. Well done to all the drivers in the final from all different racing communities. It’s been a great competition with dozens of talented drivers facing off with tiny margins separating the very best. Hopefully we’ll get the chance to do this all again very soon!